Norwegian photographer Carl-Fredric Salicath yearned for the mechanical simplicity of traditional film photography. So when he set about building his own camera he used the most elemental construction tool of all: LEGOs! 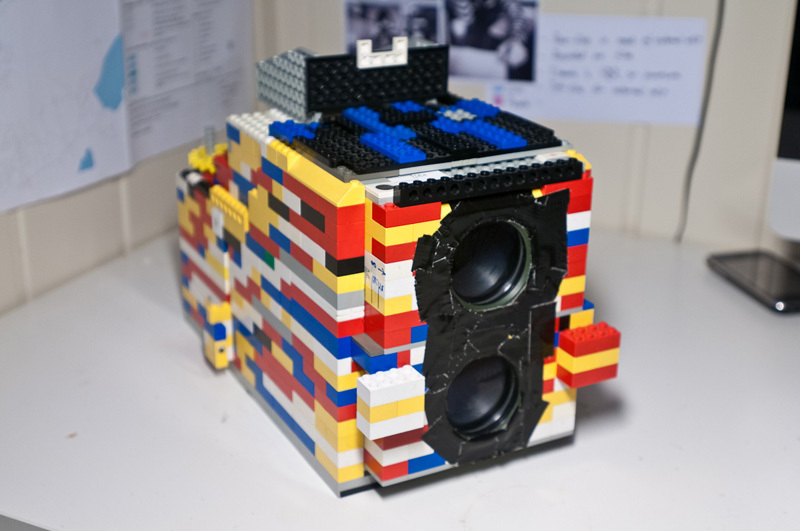 His fully-functional LEGO camera, dubbed LegoFlex B1, is loosely modeled on a Rolleiflex — the Twin Lens Reflex Medium Format Camera first introduced in 1929. Salicath impressively constructed the film chamber and many of its moving parts from a LEGO technics kit, he even found a pre-cut LEGO piece that functioned perfectly as the aperture. The mirror for the camera’s viewfinder was sourced from Salicath’s girlfriend’s make-up kit, while the Legoflex B1’s matching lenses were popped out of an old pair of binoculars. You can see some a couple of the images shot with Legoflex B1 over on Salicath’s blog, and the considering the materials he worked with, they are surprisingly good! While the salvaged binocular lenses may not provide the sharpest of images, the LEGO brick/duct-tape combo remarkably does not leak light. Last year we saw another working LEGO camera, Legotron Mark 1, a slightly simpler Brownie-based SLR which held a Kodak f4.7 lens. Salicath has his sights set on an SLR for his next project, noting that if he constructs a B2, it will be a 35mm SLR with a Nikon F-mount. 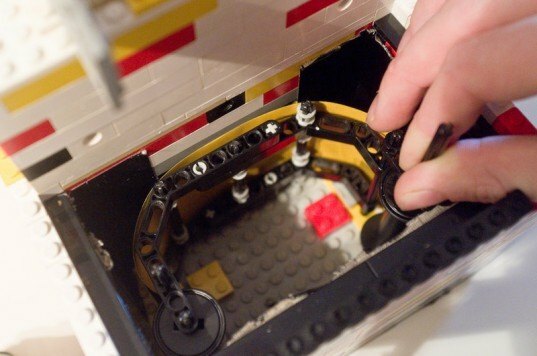 If any LEGO loving shutterbugs are curious to try this out for themselves, Salicath details the process of building the camera on his blog.